The National Agency for the Prohibition of Trafficking in Persons (NAPTIP), is prosecuting four persons for alleged offences of r*pe, child theft, child labour and abuse. The Director Investigation and monitoring of NAPTIP, Josiah Emerole said the alleged offences contravened the agency’s act and the Violence against Persons Prohibition Act of 2015. 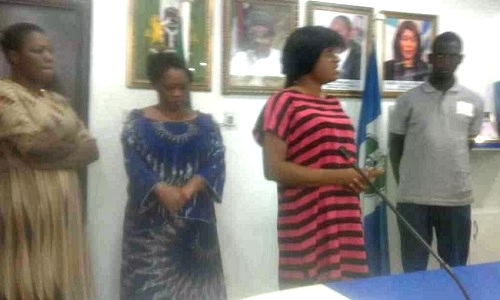 One of the alleged offenders, 43 year old Stephanie Bassey from Akwa Ibom State who lived in Sweden was brought to NAPTIP in August this year by the officers of the intelligence and International Cooperation after she was handed over by the Embassy of Sweden in Nigeria on the Suspicion that she was not the biological mother of a two month old baby she came to procure a visa for . The third case was that of a 29 year old Mrs. Sandra Obiosio, a native of River State who resides at Jabi Area of Abuja. She was accused of procuring a 12 year old girl as house help from Nasarawa State last year, who she usually maltreated and forced to do the whole house chores, take care of children and beaten regularly by her madam Mrs. Obiosio. Mrs. Obiosio, however, denied the allegations. The last case was that of a 37 year old Mr. Francis Yusuf from Plateau State who was being prosecuted for r*ping his wife’s 17 year old cousin living with them in their Jikwoyi residence in Abuja.